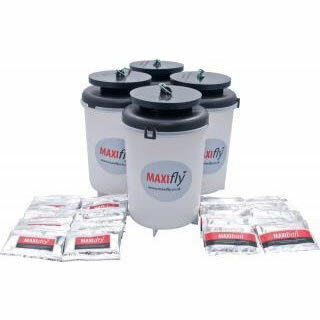 Maxifly fly trap is the best option for the mass trapping of flies because of it€™s ease of use, specifically designed bait, unique chimney effect to maximise efficiency and the lifetime guarantee on the Maxifly body and lid. 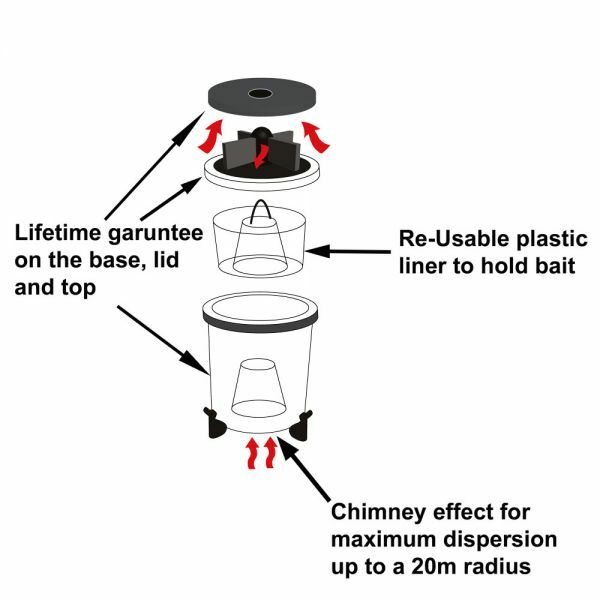 The chimney effect of the trap spreads the attraction of the Maxibait over a wide area thus increasing the efficiency of the trap. The attractant in the Maxifly is a blend of protein based powder which upon breakdown in water will result in a typical breaking digested protein, you might not like it but the fly loves it. Flies simply cannot resist it. 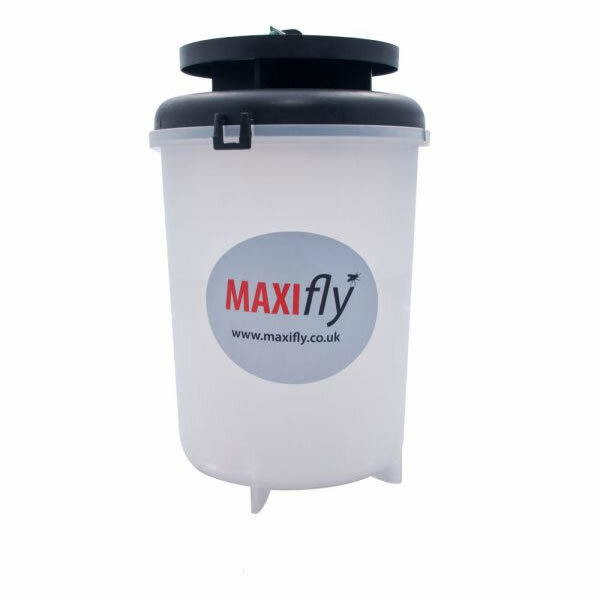 The Maxifly bait does give off an odour so it is not recommended for use where people gather or congregate. 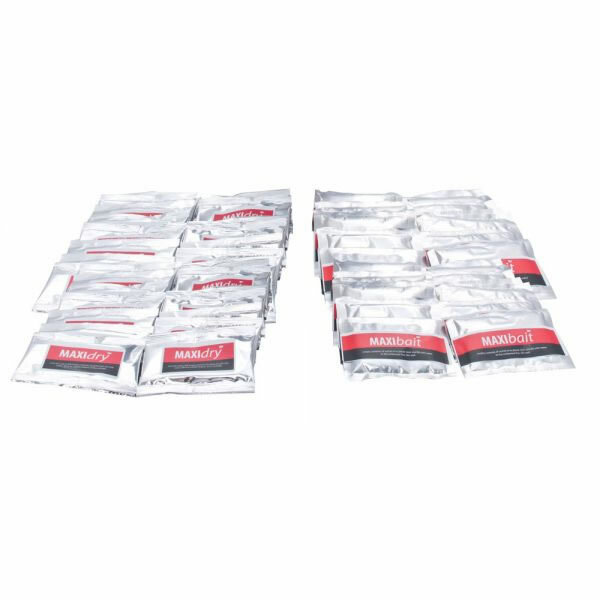 Simply place the Maxifly bait traps around the perimeter of the building or grounds an the flies will be drawn away from you and into the trap. 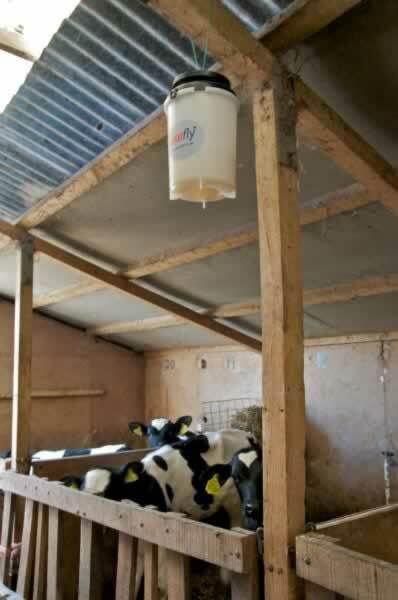 MaxiFly is ideal for use in farm sheds, milking parlours, stables, landfill sites, waste transfer stations as well as bin storage areas, trash compactors and anywhere else that flies need controlling in large volumes. The Maxifly fly trap is suitable for outdoor use and preferably away from areas where people are likely to congregate. Once the Maxibait has been added to the water the trap will start to ferment within 24 hours. 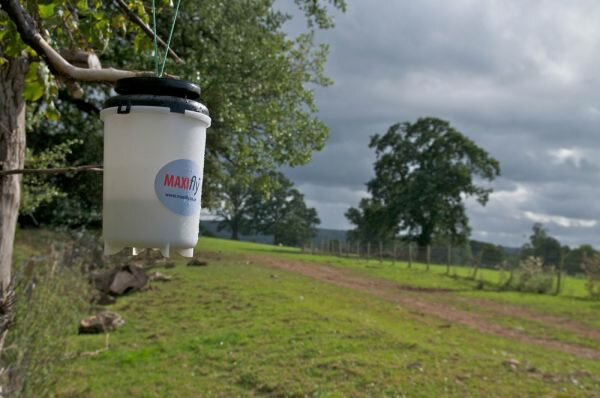 The Maxifly fly trap can be hung in trees, bushes or alternatively it can be wall mounted. It can be used in gardens, farms, and work places or as a professional pest control product for fly problems. Once the trap is full simply pour in a sachet of the Maxidry and stir until the water has solidified. Once all the water has been absorbed, simply empty the contents into the soil or compost, this will help build water retention within your soil.